These volumes contain a collection of essays by many of the closest co-workers of Raphael Hoegh-Krohn, 1938-88, one of the outstanding mathematical physicists of our age. The contributions vary in style, purpose, and content - some are surveys where leading experts sum up and clarify a subject area, others are new and adventurous expeditions into unknown territory. 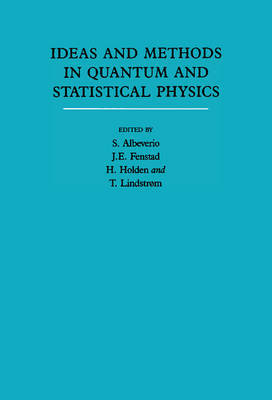 The topics cover most aspects of modern mathematical physics with special emphasis on methods from operator theory and stochastic analysis. Many of the papers are based on talks given at a symposium in honor of Hoegh-Krohn at the University of Oslo: however the final volumes are far more than proceedings and great care has been taken to attract contributions from the leading researchers.